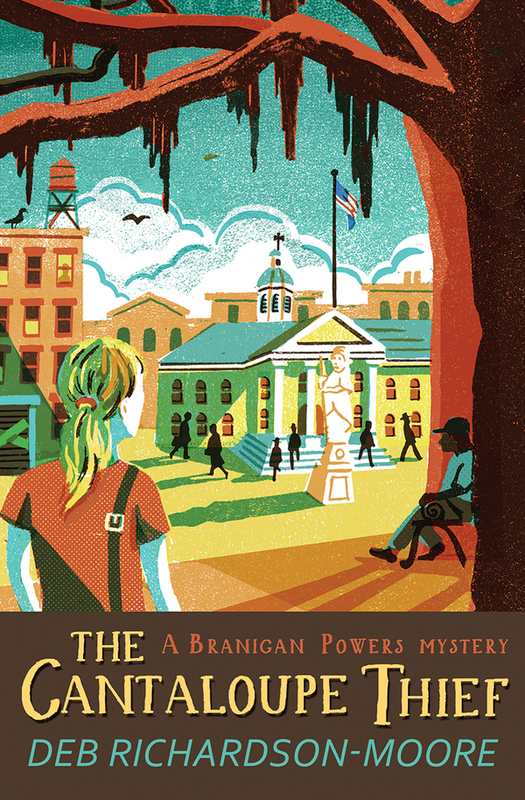 Branigan Powers knows a good story when she sees one—and the ten-year-old cold case of wealthy Alberta Grambling Resnick's murder definitely makes the cut. Resnick was stabbed in her home after she let it slip that she was planning to change her will. There are plenty of suspects in the death of the matriarch of the town's founding family, but the killer has never been caught. Now Branigan must do some serious digging to get her story. She knows the town's homeless community might have seen something; she also knows that the local cops wouldn't have thought of questioning these often-invisible people. There's a big problem, though: as Branigan starts digging, the homeless start dying. When her twin brother, a long-time addict, gets involved, the consequences of her investigation may hit a little too close to home. Set in the fictional small town of Grambling, Georgia, The Cantaloupe Thief is the first in a new mystery series by Deb Richardson-Moore. The author is herself a former journalist and works extensively with the homeless, lending weight to the portrayal of a believable and engaging whodunit. What happens when your allergies wake you up in intense pain at 1:30am and it takes forever for pain medications to kick in? You pick up the closest book and you start reading...and in this case, you keep reading until the bendadryl has you nearly comatose and then the next day you pick the book right back up and finish it. That's what happened with this book. I am incredibly impressed that this is that author's first mystery novel because the mystery is part of what kept me reading right up until the last page. I honestly had no idea who had done it. My favorite part of this book? The author uses her story to remind us all to take better care of the people around us and that nobody is invisible. We all have worth. It's easy to forget what others are going through, but we need to be aware. What else can I say about this book? It had just the right blend of mystery, tugging on the heart strings, social consciousness, and honest to goodness good old fashioned enjoyable reading. From what I've found out, this is only the author's second book, but I certainly hope that it isn't her last. It would be a downright shame not to make this a series!